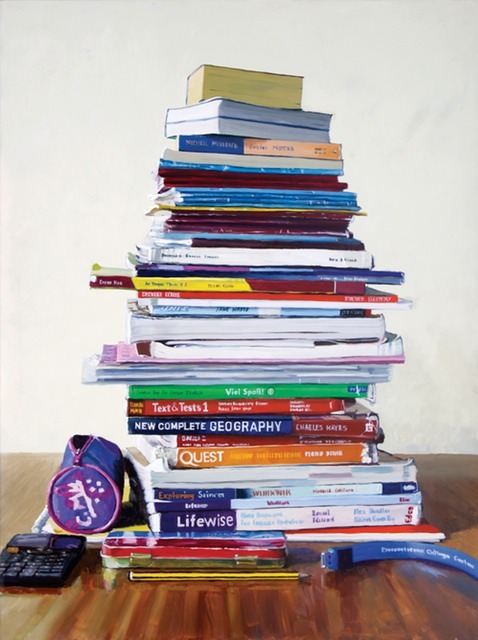 These are the schoolbooks that belong to Clodagh McHugh, a First Year student. I felt it was important to show the sheer volume and weight of the amount of books that a 12 year old had. She would leave about half of them in her locker but I still had to struggle to carry her bag. I don't think books like these will even exist in a decade, it will all be on a tablet of some sort. Hence I felt it important to record their passing, and also to someone of my generation schoolbooks are almost iconic.